When you buy a luxury vehicle, you deserve a satisfying shopping experience worthy of the premium cars you're paying for. That's exactly what we strive to provide at our Audi dealership in Saint James, NY. Browse our new Audi inventory and you'll find all kinds of beautiful models to choose from. Set out on your next journey in a comfortable and premium new Audi Q7 SUV, or commute in luxury inside an Audi A4 sedan. You can even show off your sense of style and get your heartbeat racing behind the wheel of a new Audi R8 Spyder convertible. We also have used Audi models for sale, as well as pre-owned vehicles built by other automakers, so variety is never something you lack at our Audi dealership near Smithtown, NY. No matter which marvelous model tickles your fancy, our Audi finance team can help you bring it home in a way that meets your financial preferences. Do you need to restore the vehicle you already own? Our Audi service center can help with that. Our technicians are highly skilled and trained in all things Audi, so they can quickly handle your tire rotations, coolant flushes, oil changes and more. If you were involved in an accident, you can come to our collision center for assistance, too. We know your model inside and out, and we can fix it just as the manufacturer intended. We also have OEM Audi parts for sale if you need to replace your windshield wipers, tires, oil filters, etc. Whether you're servicing an older model, upgrading to a classier car or purchasing a vehicle for the very first time, we want to be the ones to guide you down the path to automotive success. Visit our dealearship on Long Island today! We're easy to reach from places like Smithtown NY, Hauppage NY, Brentwood NY, Centereach NY and Stony Brook, NY. 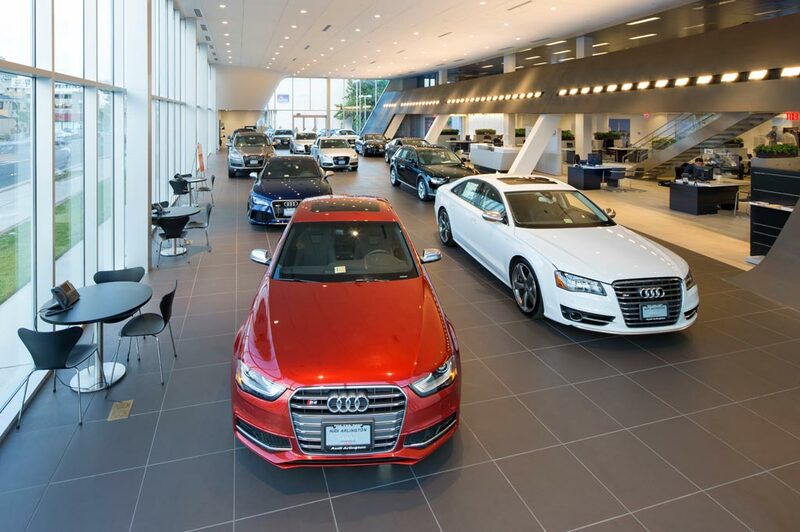 Audi of Smithtown in St. James, NY treats the needs of each individual customer with paramount concern. We know that you have high expectations, and as a car dealer we enjoy the challenge of meeting and exceeding those standards each and every time. Allow us to demonstrate our commitment to excellence! Our experienced sales staff is eager to share its knowledge and enthusiasm with you. We encourage you to browse our online inventory, schedule a test drive and investigate financing options. You can also request more information about a vehicle using our online form or by calling 877-459-1670.